Hiking Boots from Red Wing Richmond mostly fall under our Vasque Brand. 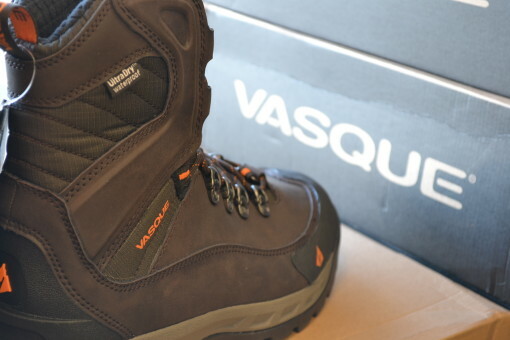 Vasque boots, and all our hiking boots, are specifically designed and purpose built with the obstacles of the trail in mind… and we mean all of the obstacles! As worrisome as any downed tree or muddy section of the trail can be, foot fatigue and swamp foot can be just as bad! Because Vasque boots carry the Red Wing brand name, you can count on them being the best you’ll find anywhere. Each Red Wing hiking boot, like all of our boots, are created by artisan cobblers and assembled by expert craftsmen from the very best of materials. Long story short, when you buy a pair of Red Wings, you are buying quality! Red Wing Hiking Boots are created to blend extreme durability with extreme comfort. Almost all of our hiking boots are built from very light, yet very tough, synthetic materials. This allows you to journey farther and faster than ever before, without the weight of heavy boots slowing your every step. Our line of hiking boots have a pair dedicated to each and every hiking pursuit. We have purpose-built boots for general hikers, trail runners, backpackers and campers, and winter warriors. Each of these sets of hiking boots are catered to different aspects of the trail. For instance, the trail runner boots are low top, to provide more comfort and better flexibility. Our winter hiking boots feature extra insulation to keep you warm on those brisk hikes. The backpacking boots are meant for those long, multi day (or week) journeys. The point is, if you’re hitting the hiking trail, we’ve got a boot that will not only fit your feet perfectly, but fit your need as well. A Few Samples Of Our Hiking Boots! Get Custom Fitted For Hiking Boots ! We would welcome the opportunity to custom fit you in an outstanding pair of hiking boots or shoes! Stop by any of our three Richmond area Red Wing Shoe stores! We’ll gladly test your pressure points on our foot scanning technology. This allows us to pin point exactly how you wear your boots! With this info in hand, we can determine what style/cut/fit makes the most sense for you. You can also send us a message on Facebook, contact Red Wing Richmond online, or give us a holler anytime!